got the sears in the mail today, will put them to great use. once I get to that project. 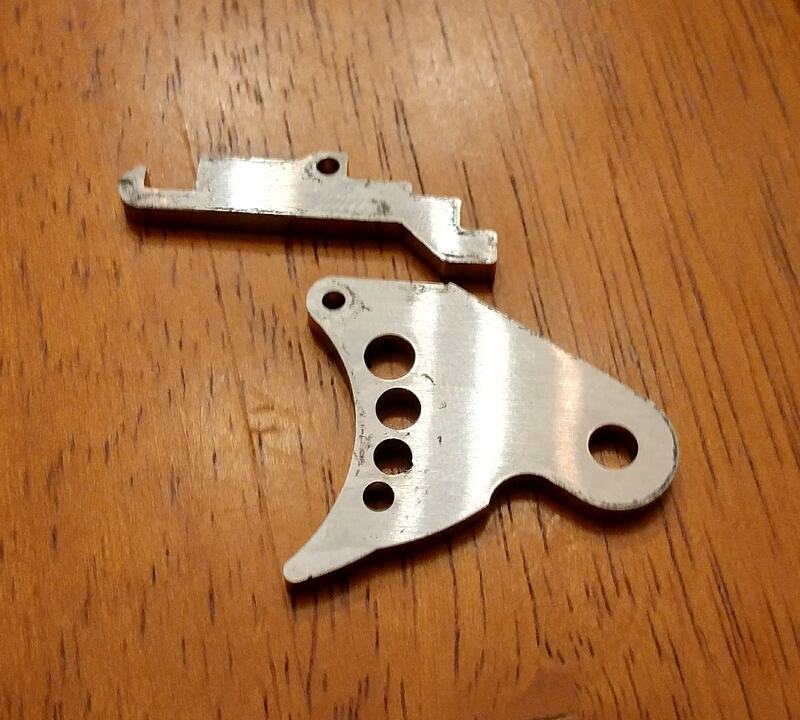 I just ran another batch of sears and triggers in 1/8" 304. I have a dozen or so; just need to clean and deburr them. The new pierce tech made the pivots quite a bit cleaner. Last edited by flyweightnate; 04-27-2018 at 09:16 PM. i have the sears in both of my pumps and a few cases in, no issues. Yeah, let me get a sear. Please PM me with the payment information.